Test your skill and have fun along the way with this great activity. It's the newest craze. 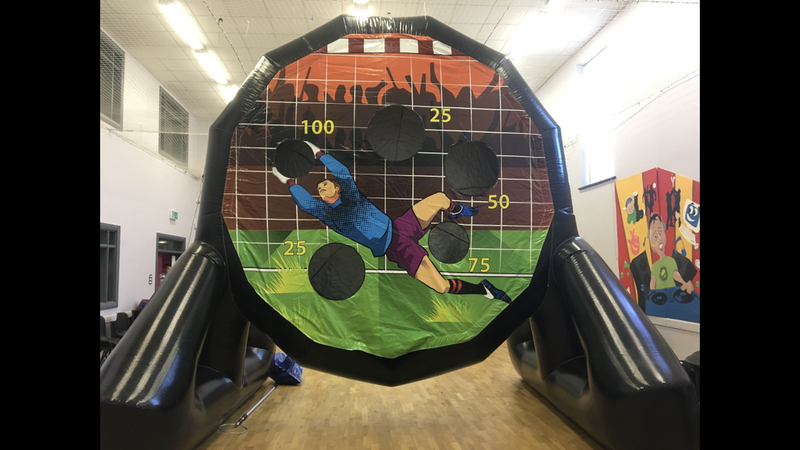 This is a fantastic Inflatable for Adults and Children's parties, or a Corporate Event! 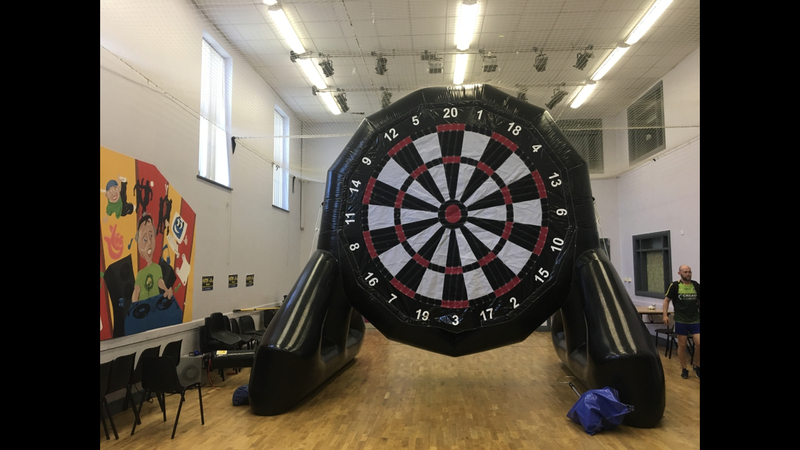 With its great "Black, White and Red Dart " themed artwork, it is a great add on to any hire and is sure to be a winning addition to your event. This unit requires approximately an extra 6ft to the rear for the blower, and 2ft either side to allow safe operation.